Asus Laptop Screen Replacement and Repair Service Anywhere is Sydney and Australia Wide. We are experts at Asus laptop screen replacement and repair all over Australia. If you have broken or cracked your Asus LCD/LED screen then contact us today. We understand you need your laptop back fast, so we stock parts for every repair; thats why we can have your laptop screen replaced on the same day. We can help you no matter where you are in the Sydney and surrand areas. Our technicians are fast and fully qualified. Your laptop will be fixed quickly on the spot in 15 minutes. We also organise door to door pick up and delivery service and all you need to do is pack the laptop in a secure box and we will have your laptop repaired in time and return it to you safely. Please check the list of Asus Laptop screens we can replace here. 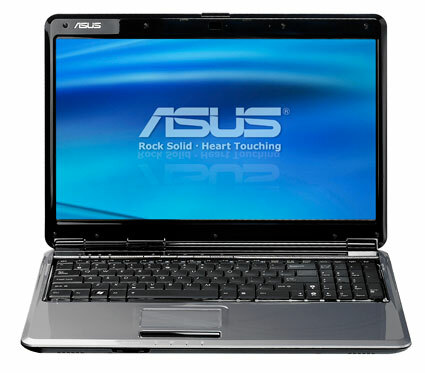 At Asus Laptop Screen Replacement service, We supply genuine Asus laptop screens of the unsurpassed quality. The LCD screens that we sell and replace are made by reputable manufacturers. We sell only genuine original laptop screens - no generic or fake. The quality of these screens is exceptional because they are the same as the ones that laptop manufacturers use in their current laptop models. Call us at 0402 738 038 or email us at info@laptopscreenreplace.com.au if you have any questions or arrange an appointment for your Asus laptop screen replacement.